Attorney LaJoyce L. Porter represented Parent (Mother) and Student at the hearing. Student did not appear during the hearing or testify. Attorney Jan E. Tomsky represented the Fairfield-Suisun Unified School District (District). Anthony Green-Ownby, Executive Director of Pupil Services, was present as the District’s representative during the hearing. Student filed a request for a due process hearing (complaint) on March 20, 2012, that listed several problems, some of which involved an expedited appeal of a school disciplinary expulsion, and others which alleged a denial of a free appropriate public education (FAPE). On March 26, 2012, OAH issued a Scheduling Order, which bifurcated Student’s FAPE problems from his disciplinary problems, and ordered the disciplinary problems to proceed in this separate, expedited hearing. At the expedited hearing, sworn testimony and documentary evidence were admitted. The evidentiary portion of the hearing was closed on April 27, 2012, and the record was held open for the receipt of the parties’ written closing arguments by close of business on May 7, 2012. On May 7, 2012, the ALJ granted the parties’ requests to submit their closing arguments by 9:00 a.m. on May 8, 2012. 1 Administrative Law Judge Joan Herrington observed the hearing. On May 7, 2012, District filed a Notice of Additional Documentary Evidence, deemed to be a motion to mark for identification and move into evidence a letter dated May 3, 2012, addressed to Student’s attorneys with a courtesy copy to the District. The letter is from Solano County Deputy County Counsel Carrie Keefe Scarlata and contains a hearsay opinion about the legal custody rights of Parents, based on her review of unknown documents. Student has not filed a response to the motion. The document is marked for identification as District’s Exhibit 16 for the record. At the close of the hearing, the parties were instructed that any motion to admit new documents after the close of the evidentiary portion of the hearing should be accompanied by a declaration under penalty of perjury to explain the circumstances. District’s motion to admit the document into evidence is denied as it is not accompanied by a declaration under penalty of perjury, lacks foundation, is hearsay, and is irrelevant to the issues in this expedited case regarding what District knew or understood in 2011. On May 8, 2012, Student and District filed their respective closing arguments, the record was closed, and the expedited matter was submitted for decision. Although not eligible for special education and related services in 2011, District knew or had a basis of knowledge that Student was a child with a disability before the behavior that precipitated the November 2011 disciplinary action occurred? 2 The Order Following Prehearing Conference, dated April 11, 2012, noted that Student’s expedited issues do not involve denial of FAPE, as Student claimed. The expedited issues have been reframed, reorganized, and clarified. For example, Student’s claim that District “knew or should have known” that he was a pupil with a disability has been reworded to comply with the specific “basis of knowledge” requirements of federal law. 3 At the outset of the hearing, the District renewed its motion, made and denied during the prehearing conference, to dismiss Student’s Issue 2, as the issue was necessarily a FAPE claim and not an expedited disciplinary issue. The ALJ denied the motion because an evidentiary hearing on the merits of the issue was needed to evaluate the claim, particularly in light of the continuance of the District’s expulsion proceeding until mid-February 2012. Student requests that OAH issue an order for the District to set aside its expulsion of Student, and hold a manifestation determination review meeting to evaluate whether his conduct, in writing and delivering a threatening note to a female pupil on November 4, 2012, was a manifestation of a qualifying special education disability. Student first contends he is a child with a disability eligible for special education and related services in the District under the category of a speech and language impairment because he was identified as a special education pupil in kindergarten and was never legally exited from special education. District contends that it exited Student from special education services at an IEP team meeting in November 2006, and that any claim regarding the November 2006 IEP is barred by the statute of limitations. If the above claim fails, Student contends, in the alternative, that in 2011, District knew that he was a child with a disability before the behavior that precipitated the November 2011 disciplinary action occurred, or at least before his expulsion in February 2012. Student points to his ongoing behavior problems, a Student Study Team (SST) meeting in May 2011, to address his behaviors, and Mother’s repeated verbal and email requests for psychological counseling and help from the school to deal with his problems. Student argues that District should have assessed him for eligibility under the category of Emotional Disturbance prior to the incident. In addition, Student claims that, after the incident, but before the expulsion proceeding, Mother requested an assessment that could have been, but was not conducted on an expedited basis prior to the expulsion proceeding. District asserts that it did not know or have a basis of knowledge that Student was a child with a qualifying disability before the incident occurred because: (1) Parent did not express concerns in writing to appropriate District personnel that Student was in need of special education; (2) Parent did not request an assessment for special education until after the incident; and (3) no District personnel expressed concerns about a pattern of behavior to school administrative staff, as required by law. In addition, District defends that any request for an assessment made after the disciplinary incident did not qualify as a basis of knowledge under the law. 1. Student is a 12 and one-half year-old boy who resides with Parent in Napa, within the educational jurisdiction boundaries of the District. 2. On November 4, 2003, District initially determined that Student was a child with a disability eligible for special education and related services at an IEP team meeting under the category of a Speech and Language Impairment. As found in more detail in this decision, District’s school records for Student showed that he was exited from special education in November 2006. Thereafter, from November 2006 through the present, Student was and is not classified as a special education pupil in the school records. 3. For the 2011-2012 school year, Student was classified as a general education pupil in the seventh grade general education curriculum at the District’s Suisun Valley Elementary School (Suisun Valley) until he was expelled in February 2012, based on the November 2011 incident that is the subject of this expedited decision. 4. Pupils with disabilities are not generally exempt from disciplinary measures that extend to all pupils, such as suspension or expulsion by a school district. However, federal law prohibits expelling a special education pupil whose conduct was a manifestation of his or her disability. An expulsion or a suspension in excess of 10 school days, because of a violation of law or code of conduct, constitutes a change of educational placement. Within 10 school days of a school district’s decision to change the educational placement of a pupil with a disability, the parents and relevant school district members of the pupil’s IEP team must meet and review all relevant information in the pupil’s file. The review team must determine: (a) if the conduct in question was caused by, or had a direct and substantial relationship to, the pupil’s disability; and/or (b) if the conduct in question was the direct result of the district’s failure to implement the IEP. A parent who disagrees with any decision regarding a change of placement or the manifestation determination may appeal by filing a complaint with OAH. 5. A general education pupil not determined to be eligible for special education may avail himself of the same protections of the discipline and manifestation review procedures afforded to disabled pupils if he or she establishes in an expedited appeal that the school district knew or had a basis of knowledge that the pupil had a disability prior to the occurrence of the behavior that precipitated the school disciplinary action. 6. On Friday, November 4, 2011, District investigated an incident in a first period class that day involving Student, and determined that he engaged in conduct that violated the law and school rules at Suisun Valley, when he placed a sexually explicit and threatening note or statement in a female pupil’s school book, which included threats to sexually molest, torture, “wrape,” and kill the girl. 4 According to the school calendar in evidence, school was closed for the Veterans Day holiday on Friday, November 11, 2011. 8. On November 15, 2011, Jas Bains Wright, principal of Suisun Valley, issued a letter to District administration personnel, in which she formally recommended Student for expulsion. Mrs. Wright’s recommendation constituted the decision of the District to refer Student to the expulsion process. 9. Mrs. Wright’s expulsion letter did not include any order extending Student’s suspension. By law, when a pupil’s expulsion is recommended and processed, a school superintendent or designee may, but is not required to order an indefinite suspension pending the outcome of the expulsion proceedings. Since an indefinite suspension was discretionary, Mrs. Wright’s referral of Student for expulsion on the day after the initial five-day suspension expired did not therefore, in itself, constitute a decision to extend the suspension and thus change Student’s placement for purposes of the special education discipline procedures. 10. As the Executive Director of Pupil Services, Mr. Green-Ownby is both the Director of Pupil Services, including all truancy and discipline matters, and the Director of Special Education. He has been with this District for about four years and prior to February 2011, he was the Director of Special Education. He has been in education for over 20 years, obtained a masters in educational administration, and holds State license credentials in general education multi-subject and special education learning handicapped teaching, and educational administration. Mr. Green-Ownby testified that it was his understanding that the District decided to extend Student’s suspension on about November 9, 2011. However, his testimony about the date was not persuasive because he appeared to be guessing at that date by counting five days after November 4, 2011. As found above, Student’s actual five-day suspension was through November 14, 2011. Student’s suspension would otherwise become a change of placement for purposes of this analysis on November 29, 2011, the 11th day of suspension.5 However, the parties agreed that Student has not returned to school since November 4, 2011, and Mr. Green-Ownby was persuasive that there was no gap in time between the initial and the indefinite suspension. The preponderance of the evidence therefore established that the District decided to change Student’s placement to the indefinite suspension on November 15, 2011, the same date the expulsion referral was made. District would therefore have been obligated to hold a pre-expulsion manifestation determination review meeting within 10 school days thereafter, or no later than Tuesday, December 10, 2011, if those laws are applicable. 5 According to the school calendar, school was closed the week of November 21, 2011, as follows: closed on recess on November 21 and 22, and closed for the Thanksgiving holiday from November 23 through 25, 2011. 11. In connection with the November 2011 incident, Principal Wright charged Student with violation of section 48900, subdivision (1)(k), for refusal to follow rules or disruption of the school, and section 48900.2 of the Education Code, for severe sexual harassment. 12. An expulsion hearing was scheduled for a date in December 2011. After several continuances, the District held an expulsion hearing before a panel on February 14, 2012. Thereafter, the District hearing panel’s findings of fact and recommendations for Student’s expulsion were forwarded to the District’s governing board, who adopted the recommendations. The duration of the expulsion and nature of any rehabilitation order is unknown. Neither party produced documentary evidence of the expulsion process pertaining to Student, aside from Principal Wright’s referral letter. 13. District did not provide written notice to Parents to schedule a pre-expulsion special education manifestation determination review meeting because District’s records reflected Student was a general education pupil and did not identify him as a pupil eligible for and receiving special education or related services. In addition, District claims it had no knowledge of a suspected disability prior to the incident. 14. Student’s prior IEPs in the District are relevant to evaluate his claim that he was already identified as a special education pupil and that District should have held a manifestation determination review meeting in the fall of 2011. 15. Mother established through her testimony that she initially sought private speech and language services for Student in 2003, when Student was in preschool, because she was concerned that his speech was unintelligible. She was unaware of the availability of public education IEP services until a preschool teacher informed her. Based on the teacher’s recommendation, Mother referred Student to the District for a special education assessment in 2003. 16. Student’s initial IEP dated November 14, 2003, provided that Student was eligible for special education with a speech and language disability that impaired his ability to “express his knowledge and it impacts his participation with his peers,” due to articulation problems and lack of clarity in his speech. District provided Student with specialized speech and language instruction services beginning in January 2004. The IEP contained the signatures of the participating IEP team members: a District administration designee, a general education teacher, a speech and language specialist, and Father. Mother did not attend the meeting. Father signed the parental consent portion of the IEP on November 14, 2003, which also included handmade checkmarks in boxes for acknowledgement of receipt of a notice of Special Education Rights of Parents and Children Under the IDEA (procedural rights), and an assessment report. The IEP summary notes stated that Parents’ primary concern was Student’s speech. 17. With the exception of the IEP for November 17, 2006, produced by the District, all of the IEP’s in evidence were Student’s exhibits. Student’s next IEP meetings were on February 26, 2004 (preschool); March 23, 2005 (kindergarten), and February 23, 2006 (first grade). The IEP’s all offered continued speech and language therapy services focusing on articulation. The IEP’s all contained acknowledgment of receipt of written notice of procedural rights. Except for the February 2006 IEP, the IEP’s contained the signatures of Mother or Father as participants and consenting parents. The IEP’s reflected that Student’s speech and language therapist for the District was Betsy Muzzy. The IEP’s noted in the Behavior section that Student’s behaviors did not interfere with his learning or the learning of others, but continued to note that his speech impairment impacted his communication with peers. In addition, the March 2005 IEP noted that Student at times engaged in “regressive and oppositional” behavior. For the February 2006 IEP, Mother attended by telephone and verbally consented. Neither party produced a copy of that IEP signed by either parent. District operated on the basis of Mother’s consent in continuing to provide Student related speech and language therapy services until November 2006. 18. A school district may not exit a pupil from special education without conducting an assessment. If a parent disagrees with the district’s assessment, the parent may request the district to pay for, or reimburse the parent for the costs of an independent educational assessment (IEE), and the district must generally provide the IEE or file a request for hearing. 19. Student contends that he was still a special education pupil in 2011, and was never exited from special education for several reasons, including that Mother did not attend an IEP meeting in November 2006. Even if she did, she did not verbally consent to District exiting Student, never received a written IEP offer on or after that date, never consented in writing to such an exit, and did not receive a written notice of procedural rights from the District at that meeting. 20. District defends that Student is precluded by the applicable two-year statute of limitations from contending he was not exited from special education in 2006. In addition, District asserts that its record of the November 2006 IEP team meeting was sufficiently authenticated, was the product of District’s archival database of records pertaining to that meeting, and was corroborated by the testimony of Student’s general education teacher for the 2006-2007 school year, Caroline Baziuk. 21. The IDEA’s statute of limitations requires a party to file a due process hearing request within two years of the date upon which the party “knew or had reason to know of the facts underlying the basis of the request.” This limitation is generally calculated to run backward from the date of the filing of the complaint, or forward from the time of the event underlying the complaint. Statutory exceptions are limited to two circumstances which prevented the parent from timely filing the complaint: (1) where the district made specific misrepresentations that it had solved the problem at issue, or (2) where the district withheld information from a parent that it was obligated to provide. 22. Student’s claim that he was still a special education pupil in 2011, breaks down into two separate implied contentions: (1) that District violated the law procedurally and/or substantively when it exited him in connection with his triennial IEP in November 2006; and/or (2) that Student did not then know or have reason to know he had been exited, and discovered the information at a later date. Student’s complaint does not contain facts expressly describing either scenario. Since Student filed his complaint on March 20, 2012, the statute of limitations on any of Student’s special education claims against the District generally ran on March 20, 2010. Student therefore cannot litigate events that occurred over five and a half years prior to the filing of his complaint, unless either an exception applies, or the date upon which he “knew or had reason to know the facts” changes the result. 23. Student did not assert or present any evidence that District made misrepresentations that it had solved a problem at issue in 2006, and thereby prevented Student from timely filing a complaint. Consequently, this exception is not applicable. 24. A belated date of knowledge or reason to know the underlying facts about a problem will extend the date on which the two-year statute of limitations begins. For example, if Student did not know or have reason to know of the underlying facts about what happened in connection with the November 2006 IEP, until November 17, 2008, he would have had two years from that date of discovery, or until November 17, 2010, within which to file a complaint. He did not do so. For the same reason, absent application of an exception, the only scenario under which Student could now prevail using the knowledge criteria is to establish that he had no reason to discover or know of the underlying facts until on or after March 20, 2010. 25. Student did not sustain his burden of proof on this point. Mother is a medical doctor, and consequently a well-educated person, who referred her son for special education when he was in preschool in 2003. Additionally, as found above, she had known about or participated in four IEP team meetings for Student from November 2003 through February 2006. All of District’s IEP’s for Student contained an acknowledgement of receipt of written notice of procedural rights by the parent who attended the team meeting. The February 2006 IEP clearly stated that Student’s triennial IEP team meeting was due by November 13, 2006. Mother knew that District scheduled the IEP meeting on that date. Mother timely communicated by email to District’s speech and language therapist, Ms. Muzzy, that she was unavailable to attend an IEP meeting on that date because she was to be out of town. Mother established that she attended a professional conference through the American Academy of Ophthalmology for continuing medical education in Las Vegas, Nevada, from November 10 through 14, 2006. District offered to, and did continue the IEP team meeting to Friday, November 17, 2006, and scheduled it during the noon hour when Mother was back from her trip and available on her lunch hour during the work day. 26. Student’s second grade teacher, Carolyn Baziuk, persuasively testified and established that Mother personally attended a brief IEP team meeting with District personnel on Friday November 17, 2006, starting around 12:30 p.m., followed by a brief parent-teacher conference. Ms. Baziuk has been employed as an elementary school teacher with the District for 22 years. She recalled teaching Student for the 2006-2007 school year, and established that he was extremely bright but had difficulty finding someone to play with because of his high cognitive level. Ms. Baziuk had scheduled a parent-teacher conference with Mother for the same date, due to the ending of Student’s fall trimester in school, and held a separate conference with Father earlier in the week. Ms. Baziuk was persuasive that both Mother and the speech therapist, Ms. Muzzy, attended the IEP meeting on November 17, 2011. She was also persuasive that Fernalyn Decena, a resource specialist and administrative designee, was not present. Ms. Baziuk was confident and credible in recalling that Ms. Muzzy reported on Student’s articulation progress and recommended he no longer needed speech and language services in order to obtain educational benefit. Ms. Baziuk was also persuasive that Mother was cooperative and expressed that she was pleased with Student’s articulation progress and consented to ending the services at that time. Mother also expressed concerns about Student’s social skills. Ms. Baziuk recalled signing the IEP document but did not recall if she watched Mother also sign it. 27. Mother denied participating in any meeting with the District that Friday because her 2006 calendar record for that date merely noted she “discussed” Student’s progress with the school and she concluded that note meant a telephone call. Mother’s testimony regarding the November 17, 2011 IEP meeting was found not to be credible. First, Mother changed her testimony and conceded that she could have attended a meeting, but recalled it was a parent-teacher conference. Mother did not recall receiving either a written notice of procedural rights or a copy of the IEP at the meeting. However, while the IEP and parent-teacher conference meetings were back-to-back, Mother acknowledged receipt of notice for the triennial IEP meeting, requested that it be rescheduled due to her trip, and knew or had reason to know that the IEP meeting took place with her participation on November 17, 2006. On November 13, 2006, Mother sent an email to Ms. Muzzy regarding the upcoming IEP meeting, in which she acknowledged that Student’s speech was “much better.” While Mother stated that she still wanted to “encourage” Student to see Ms. Muzzy, she did not reference their prior telephone conversation in which Ms. Muzzy informed her of the recommendation to terminate speech services. Mother’s demeanor while testifying was upset and confused and she had difficulty focusing on the questions asked of her. Her lack of recollection and speculative answers negatively impacted her credibility on this issue. 28. District presented a document that consisted of a printed copy of data purportedly representing the November 2006 IEP meeting (District’s Exhibit D4), dated November 13, and 17, 2006. Mr. Green-Ownby authenticated the document as a school business record produced from the District’s digital, encrypted disc archives of 2006 school records, the data having been entered onto an IEP form. Mr. Green-Ownby was persuasive that he learned, in the course of the parties’ mediation prior to this hearing, that District had not produced any special education exit documents when it complied with Student’s attorney’s request for records. Subsequently, Mr. Green-Ownby consulted with staff, who found a clerical data entry in the statewide reporting system that reports required data to the California Department of Education, showing that Student had been dismissed from special education in November 2006. Student contends that the District IEP document produced for this hearing was not a true copy of the November 2006 IEP. 29. 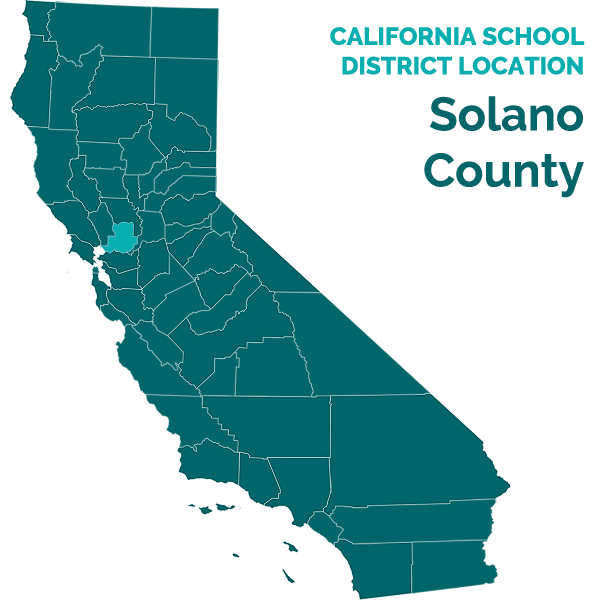 All of Student’s IEP’s from November 2003, through February 2006, were on a Solano County Special Education Plan Area (SELPA) form that contained preprinted formats and spaces for handwritten entries and signatures. Mr. Green-Ownby was persuasive that in 2006, the SELPA switched to the GENESEA system, an on-line data-entry system that automatically entered the IEP data into a state database for reporting purposes. The GENESEA system lasted about two years, after which the SELPA switched to a more sophisticated web-based data system. However, all systems included hard-copy IEP documents with spaces for signatures and handwritten checks and/or notes. In about 2008, the data during the GENESEA era, including Student’s November 2006 IEP, were saved by backing up “all IEPs” onto encrypted discs. In April 2012, Mr. Green-Ownby directed staff to contact the SELPA encryptor to obtain the password to open the disc, and District’s Exhibit D4 was successfully printed out. Mr. Green-Ownby searched for, but never found the original IEP for that meeting. He has concluded, based on hearsay information from Student’s speech and language therapist, Ms. Muzzy, that she must have retained the original IEP in her file, and subsequently lost the file. The IEP was never placed in Student’s cumulative school record file. 30. Mr. Green-Ownby’s testimony was insufficient to identify the document as a true copy of the November 2006 IEP. For example, the reconstituted document did not contain any signatures verifying the actual participation in the meeting of any IEP team members, including Mother. Page eight contained the printed names of four purported participants: general education teacher Ms. Baziuk, speech pathologist and special education teacher Ms. Muzzy, Mother, and District administrator and resource specialist, Ms. Decena. However, the weight of the evidence, including the testimony of both Mother and Ms. Baziuk, established that Ms. Decena did not attend that meeting. The law requires a district administrative designee to be present at every IEP meeting as only school district administration has the authority to make an IEP offer on behalf of the district. Accordingly, at least one critical piece of information on the digital reproduction of the data entered into the GENESEA computer program from that meeting was materially incorrect. 31. Ms. Baziuk did not recognize Exhibit D4, and it did not contain her signature. She did not recall the meeting being a triennial IEP team meeting, and did not recall seeing a speech and language assessment report. While the printout stated that Mother was “in agreement with dismissal at this time,” Mother was adamant at hearing that she did not agree to discontinue Student’s speech and language therapy. However, had Mother refused to consent to her son’s exit from special education, the District would have been required by law to file a request for due process in order to terminate services, and it did not do so. Mother testified that she never saw Exhibit D4, until District produced it a week before the hearing. 32. Although the law required District to conduct an assessment for the triennial IEP, the speech and language assessment was not attached to the reconstituted IEP document, nor was one independently produced. The printed IEP document contained a list of purported “evaluation” results from multiple assessments that was internally inconsistent with anther portion of the document that only referenced assessment results from one discreet articulation scale and some speech therapy logs. Ms. Muzzy did not testify to clarify what happened at this IEP team meeting. 33. More troubling, Mr. Green-Ownby, who was not employed by the District in 2006, testified about how he understood the data from the original IEP should have been entered by school staff into the computer based on his 2005 participation in GENESEA’s setup as a SELPA representative from another school district. Accordingly, he could not say what procedures the District actually used in 2006, and much of his testimony was therefore hearsay.6 Based on the foregoing, while District’s Exhibit D4 was a school business record, the document could not be relied on to conclude that it was an accurate and true copy of Student’s November 2006 IEP. 6 See title 5, California Code of Regulations, section 3082, subdivision (b). 34. Ultimately, however, the weight of the evidence established that Mother attended Student’s triennial IEP team meeting on November 17, 2006, and she knew or had reason to know, after November 17, 2006, that District had exited Student from special education. First, Ms. Baziuk’s testimony was more credible than Mother’s about the IEP meeting and Mother’s cooperation with her and Ms. Muzzy regarding their reports of Student’s academic and speech progress, and their recommendations. Mother had little or no independent recollection of any meeting in November 2006, and consequently, due to her lack of memory, much of her testimony about November 17, 2006, was speculative. In addition, it is uncontroverted that District did not invite or notify Parents to attend, or conduct any further IEP team meetings for Student from December 2006 through the present, a period of almost five and a half years. In addition, no evidence was produced that Mother requested an IEE because she disagreed with District’s speech and language assessment, upon which the decision to exit was based. There is no evidence that Mother made any inquiry to the District about Student’s continued speech and language services, or progress on speech and language goals, or annual reports of progress or proposed modifications of those goals for over five years. 35. In addition, Mother spoke to Ms. Muzzy about a week before the IEP meeting, and knew Ms. Muzzy was recommending that Student no longer needed speech and language therapy. Mother testified that Ms. Muzzy informed her in November 2006, that Ms. Muzzy was transferring to another school, and that Suisun Valley would no longer have speech services. While that information was incorrect, Mother nevertheless understood Student’s services would cease after the IEP meeting. 36. Since Mother knew or had reason to know of the underlying facts, Student had two years from November 17, 2006, or until November 17, 2008, within which to file a request for due process to claim that District’s offer procedurally or substantively violated the law and denied him a FAPE by improperly assessing him and/or exiting him from speech and language therapy and from special education. Based on the foregoing, Student did not establish that the statute of limitations should be extended any time after March 20, 2010, as the first time Mother knew or had reason to know that District exited Student from special education services. Because Mother knew or had reason to know, by November 17, 2008, that District exited her son from special education, she had the opportunity to act on that knowledge by filing a complaint if she believed the District to be in error, and did not do so. Student’s claim is therefore barred on this ground. 37. As an exception to the statute of limitations, Student may prevail on his claim if he shows that the District withheld information that it was obligated to provide to Student in a manner that prevented Student from filing a complaint. In this regard, Mother did not recall whether District provided her notice of procedural rights, and denied receiving a copy of the November 17, 2006 IEP. As found above, however, Mother’s testimony about the November 17, 2006 IEP meeting was not credible. Student did not establish, based on Mother’s lack of recall, that District failed to provide her with procedural rights and a copy of the IEP, or that she was thereby prevented from knowing that the District exited her son from special education for over five years. As found above, Mother knew that District rescheduled the IEP meeting at her request, due to her continuing medical education conference. She was responsible to follow up regarding the rescheduled meeting. Mother knew she had a meeting or “discussion” with the District on November 17, 2006. In addition, Mother knew that District did not convene any further IEP meetings in 2007 or 2008, within the statute of limitations. She knew that Ms. Muzzy wanted to terminate speech and language therapy based on Student’s progress because she talked to Ms. Muzzy about a week before the IEP meeting. She also believed, incorrectly, that Ms. Muzzy was leaving and that Suisun Valley would no longer provide speech services at that school after the 2006-2007 school year. In fact, District established that Ms. Muzzy continued to provide speech and language services to other pupils at Suisun Valley until about 2008. 38. Student did not present any evidence to substantiate a good faith belief that District misled Mother into thinking that it continued to provide Student with speech and language therapy for the next two years, such that she was prevented from filing a complaint, and her testimony as to such a belief was not credible. For example, there were no IEP meetings, no reports of progress on annual IEP goals, and no information about who Student’s therapist was. Therefore, Student did not establish that District withheld information. Even if District made some mistakes, Student did not show that lack of such information prevented her from complaining within the next two years. Student therefore did not substantiate an exception to the statute of limitations on this ground. 39. Student contends that, even if he was not already identified as a special education pupil in recent years, District knew or should have had a basis of knowledge, at least in 2011, to suspect that he was a child with a disability, and the District should have assessed him for special education eligibility prior to the disciplinary incident of November 4, 2011. 40. District contends that Student’s nonexpedited issues, set for hearing at a future date, include a claim that the District denied him a FAPE because District violated its “child find” obligations to affirmatively identify Student as having a suspected disability and to timely assess him. District asserts that the present expedited claim is distinguishable: it is not a FAPE claim but is subject to narrow criteria as to whether District had a basis of knowledge that he was a child with a disability based on narrowly drawn circumstances: (1) the parent “expressed concern in writing” to “supervisory or administrative personnel” of the educational agency, “or a teacher of the child,” that the pupil “is in need of special education and related services;” (2) the parent “requested an evaluation of the child” pursuant to the IDEA-mandated evaluation or assessment requirements; and/or (3) the teacher of the child, or other school personnel, “expressed specific concerns about a pattern of behavior demonstrated by the child” either “directly to the director of special education . . .or to other supervisory personnel of the agency.” Under those criteria, District defends that Student did not establish facts from which to show District had the requisite knowledge of a disability before November 4, 2011. 41. Student’s Assertive Discipline Record in evidence, printed on April 12, 2011, established that, prior to Student’s 2010-2011 school year in sixth grade, Student had two affirmative disciplinary incidents at school in second grade (not following recess rules, hitting a pupil in the stomach at recess); one in third grade (three “yellow tickets” for disruption); one in fourth grade (obscenity to a pupil); and two in fifth grade (bullying a boy with use of force, and taking a test with another pupil). Student occasionally engaged in other negative behaviors at school that did not result in discipline. Student was difficult to understand and his speech and language impairment negatively impacted his communication and participation with peers, resulting in some social isolation. 42. Mother was persuasive that Student had behavioral difficulties from preschool onward. Although most of the difficulties she observed were in the home setting, she also visited his classes and observed inappropriate behaviors there. At school, Student was exceptionally bright and performed well academically. However, teachers, including both Ms. Baziuk, Student’s second grade teacher, and Kathleen LaRocco, Student’s third grade teacher, noted that Student tended to lack emotion and empathy and was resistant to authority. For example, Student’s March 2005 IEP had noted that his “emotional behavior is both regressive and oppositional at times . . . .” Ms. Baziuk established that because Student was so intelligent, he had a hard time relating to his peers. 43. Beginning in June 2006, Mother retained a private psychologist, Dr. Shirley Kramer-Web (Dr. Webb), to provide individual therapy to Student. Ms. Baziuk had expressed concerns to Parents beginning in October 2006, during second grade, that Student needed to work on his interpersonal skills, including inappropriate, judgmental remarks to his peers. In February 2007, Mother informed Ms. Baziuk that a psychologist was working with Student on his “impulse control.” Dr. Webb is a developmental and child psychologist and licensed as such since 1986, specializing in applied behavior analysis. Dr. Webb provided therapy to Student until the summer of 2011. Dr. Webb persuasively testified that Mother expressed concerns beginning in 2006 about Student’s anger and aggression toward others. Dr. Webb developed a working diagnosis that Student suffered from an adjustment disorder. She attributed the disorder in part to traumatic events in Student’s life, including the difficult divorce proceedings, and Father’s illness in 2007, that caused a dramatic change in Father’s personality. Dr. Webb worked with Student on developing self-control in his relations with his sister and parents, and at home, school, and day care, and on positive reinforcers for both Mother and Father to be consistent. 44. For the 2010-2011 school year in sixth grade, the evidence established a marked increase in Student’s emotional and behavioral problems, including three assertive disciplinary suspensions: (1) on February 24, 2011, Student refused to follow a teacher’s instructions to stop drawing on his whiteboard in a math class, and to sit by himself during P.E. ; (2) on February 25, 2011, Student forged his father’s signature on a referral; and (3) on March 1, 2011, he was suspended due to an incident on February 28, 2011, when Student went to a school dance despite having received a disciplinary referral; he tried to leave through a bathroom, kicked another pupil, defied a parent chaperone, lied about kicking the pupil, refused to surrender his electronic device, and was defiant and argumentative. On April 26, 2011, Student was cited with an “A-BUT” Notification for violation of the District’s Anti-Bulling Upper-grade Team rules for “name calling, taunting, gossiping, spreading rumors, or other remarks about another student or adult at Suisun Valley,” involving repeated bullying of another pupil. In addition, during this time, Student was acting out at the homes of both Mother and Father, including attempting to set fires. By the spring of 2011, Dr. Webb referred Mother to a child psychiatrist because Dr. Webb credibly concluded that she was not making any headway with Student, and was concerned that he might be suffering from depression, lacked affect, and would not talk to her. In the spring of 2011, Student started a fire in Mother’s home and two fires at Father’s home, and caused another pupil to light Student’s “volcano” project at school in the classroom instead of outdoors. However, although Dr. Webb learned of incidents involving Student at school, she never saw Student at school, and Parents never invited or authorized her to speak to Student’s teachers or attend his IEP meetings. 45. On May 9, 2011, Ms. LaRocco, who was then Student’s sixth grade teacher, convened an SST meeting to discuss the school’s concerns about Student. Mother attended, along with Student’s other teachers, Gary Baziuk, and Amy Hosier, resource specialist Ms. Decena, and the school psychologist, Ms. Henry. In addition to being a special education resource specialist, Ms Decena was an administrative employee responsible for the SST process at Suisun Valley. Prior to the meeting, Ms. Henry attempted to speak with Student, but he defied her and refused to speak with her. The SST discussed seven areas of concern about Student: he bullied others; had difficulty following the rules; showed no empathy when teachers discussed his inappropriate behaviors; had no affect; had a hard time reading at home; engaged in power struggles with teachers, including looking for loopholes; and played with fire. Ms. LaRocco persuasively testified that Student’s mean or bullying attitudes were more serious in sixth grade than in third grade. In addition, Mr. Baziuk, Student’s English literature teacher and a teacher with 30 years of teaching experience, expressed his concerns to the team about Student’s disturbing conduct.7 The SST developed a plan of action to include communication notes between the school and both parents; consequences for inappropriate behavior, such as detention; and a behavior contract. By the third trimester of sixth grade, Student performed well academically and received academic grades of B’s in English and Math, a B plus in English Literature, and A’s in both Science and Social Science. Despite Student’s academic success, District was concerned about his psychological well-being and the impact of Student’s social isolation and aggressive bullying. Ms. Henry, the school psychologist, provided services to both general and special education pupils. However, there is no evidence that the subject of special education was raised at any time during the meeting. The evidence established that the participants knew about Parents’ troubling and ongoing divorce dispute. 7 Later, in November 2011, Ms. LaRocco informed a law enforcement officer that she thought Student might be a “sociopath.” In addition, Mr. Baziuk informed the officer that Student was the most “disturbed child” he had ever seen. While these teachers may not have used those words in the May 2011 SST meeting, there is no doubt that the concerns they expressed in that meeting were serious and reflected their knowledge of Student’s negative patterns of behavior communicated to Ms. Decena and Ms. Henry. 46. Following the SST meeting, on May 12, 2011, Mother sent an email to the District’s SST staff, informing them that Mother and Father met with Student’s psychiatrist, Dr. Nanelle Jones Sullivan, the day before. Mother informed the team that Dr. Sullivan diagnosed Student with a “disruptive behavior disorder, not otherwise specified [NOS]” which was ‘98% environmental.” Mother stated that Dr. Sullivan felt Student did not have “a major psychiatric disorder that would need further follow up call with her or medications.” In the same message, Mother informed the SST that she would like Student “to see the school psychologist when she is available.” She also stated that Student would continue to see Dr. Webb privately. 47. By the end of May 2011, it became apparent that Student resisted the behavior plan and was not using it. On June 10, 2011, Student threw food during the lunch recess, and refused to follow the school custodian’s directions to clean up the mess, resulting in another disciplinary referral for defying authority. 48. Student began the 2011-2012 school year in seventh grade without significant school problems. At home, Mother and Father were again in crisis. In August 2011, Mother obtained a temporary restraining order against Father, and also obtained an order granting her legal and physical custody of Student and his sister. In September 2011, Mother and Father entered into a stipulation that provided Father with visitation, but which created ambiguity about Parents’ custody status. Mother credibly established that, following the reinstitution of visitation with Father, Student became increasingly emotionally unstable, including impulsiveness, forgetfulness, strange psychotic ideations, and not wanting to go to school. In September 2011, Mother retained Peter Bradlee, a psychologist, to provide individual therapy to Student. Student was “shut down” and unwilling to participate in therapy, and Dr. Bradlee diagnosed Student with depression, but did not see him again until mid-November 2011, after the disciplinary incident. 49. On October 27, 2011, Student engaged in a death threat against his teacher, Ms. Hosier, by soliciting other pupils to join him to kill the teacher. On Friday, October 28, 2011, Mother met with District’s Coordinator II for Student Accountability, Angela Avlonitis, and another school administrator. Ms. Avlonitis oversees the District’s truancy and discipline matters, including expulsion. The family court Special Master assigned to Mother’s divorce case, Dr. Janelle Burrill, joined in by telephone, and Mother explained her concerns to them, including Student’s psychotic ideations, alarming searches for guns she had found on his iPad, and his access to guns at Father’s house. Ms. Avlonitis informed her that the District had to notify the police, and they went to Suisun Valley to meet with the principal, Mrs. Wright. While there, Ms. Avlonitis communicated Mother’s concerns to Mrs. Wright. 50. On October 31, 2011, District held a parent-teacher conference meeting, attended by both Parents, Student, Ms. Hosier, Ms. Avlonitis, and the school principal, Mrs. Wright. Student apologized to Ms. Hosier, but denied any memory of having made threatening comments. Mrs. Wright indicated that the school psychologist would follow up with Student to work on the SST behavior contract. However, Mother verbally requested “additional psychological support” for Student. Specifically, Ms. Avlonitis recalled Mother asked for more than a check-in with the school psychologist and wanted a “consistent, frequent schedule” of therapy with Student. In that meeting, however, Father refused to agree to such support. Neither Parent expressly requested an assessment for special education, nor was there evidence that the phrase “special education” was mentioned. After the meeting, Ms. Avlonitis further responded to Mother’s request for help for her son by emailing her information about a program called the Parent Project, another program called the Police Activity League, and community volunteer services. 52. For the first trimester of seventh grade, prior to his suspension on November 4, 2011, Student was performing well academically and received grades of A minus in Algebra and Algebra Lab, an A in English Lab, and B plus in English, an A in Life Science, and an A minus in World History, with a 3.83 grade point average. 53. On November 10, 2011, Mother emailed Ms. Avlonitis and stated she understood there were “services available through the school system to assess” Student. She expressly stated: “I would like [Student] to be assessed and evaluated as soon as possible for how best to manage his behavior issues and what is the appropriate setting to educate him.” Later the same day, Ms. Avlonitis responded and instructed Mother: “If you are requesting a Special Education assessment, please put it in writing to Mrs. Wright and/or Mrs. Henry (school psychologist) . . . .” On November 12, 2011, Mother responded and indicated she would send District a court order “in process” that would clarify her right to control Student’s educational needs, and asked to have her email forwarded on to both Mrs. Wright and Mrs. Henry. On November 14, Mrs. Henry responded to acknowledge receipt of the request for assessment. 54. In a “prior written notice” letter dated November 21, 2011, Mr. Green-Ownby wrote on behalf of the District that he had received Mother’s request for an assessment in an email to him on November 16, 2011, and that the District declined the request. The District declined the request for various reasons, including Student’s successful academic performance and high standardized test scores, Mother’s May 2011 information that Student had a psychiatric disorder that was “environmentally” based, and District’s opinion that there was no basis to suspect a disabling condition that required specially designed instruction for Student to obtain educational benefit. 55. In addition, District informed Mother that Father refused to consent to any special education assessment. District had a legitimate concern that Father still had joint legal custody of Student and consequently may still have jointly held his educational rights with Mother, based on District’s receipt and review of many family court orders over the years. Although Mother obtained an order granting her sole legal and physical custody of Student in August 2011, the September 2011 stipulation created ambiguities that clouded the custody status. For example, District had received a pending Superior Court “Order #15,” containing a recommendation from Special Master Dr. Burrill that Mother should have temporary legal custody of the children, signed by Dr. Burrill on November 11, 2011. However, that order was not signed by the family law court judge. Mr. Green-Ownby attempted to clarify the matter with a civil attorney assigned to protect Student’s interests, who explained that Order #15 was recommended to clarify Mother’s status as the holder of Student’s educational rights. However, District did not receive a copy of the order signed by the Judge until December 13, 2011, from Student’s attorney. 8 However, later, in December 2011, Mother changed her mind and denied that the handwriting was her son’s. 56. District and Student presented additional evidence regarding the status of Mother’s request for assessment from November 2011, through March 2012, including Student’s disenrollment from the District to attend a virtual school after his suspension, and subsequent reenrollment in February 2012, that revived the assessment issue. However, it is not necessary to make findings on that point in this expedited case as Student has a FAPE claim regarding District’s failure to assess him. That claim is not relevant to the narrow issue whether Mother’s request for assessment after the disciplinary incident can be used to establish District’s basis of knowledge of Student’s disability or to void the expulsion. 57. Student contends that Mother’s request to have Student assessed for special education, even though made after the disciplinary incident, should qualify to establish District’s knowledge sufficient to have required an expedited assessment and a manifestation determination review meeting. Student also contends that, had District conducted an expedited assessment of Student prior to his February 12, 2012, expulsion, District would have discovered his disability and stopped the expulsion. However, as set for in Legal Conclusions 35 through 40, Student did not submit any legal points or authorities to support his argument. The clear intent of the basis of knowledge requirements is to require school districts to hold a manifestation determination review meeting if they have such knowledge prior to the disciplinary incident. Accordingly, Student did not establish a basis of knowledge as Mother’s request for assessment, even assuming she held Student’s educational rights, came too late. 58. A pupil who is eligible for special education and related services is entitled to receive specially-designed instruction and related services that meet his or her unique needs to benefit from a public education. To be eligible for special education, a pupil must not only meet the criterion for a specific educational disability, but also demonstrate that he or she needed special education and related services that could not be provided with modification of the regular school program. 59. In February 2012, following Student’s suspension from school in November 2011, and prior to both the expulsion hearing and this hearing, Mother retained a pediatric neuropsychologist, Dr. Cynthia Peterson, to evaluate Student. Dr. Peterson reviewed Student’s school and medical records, including his prior IEP’s and academic transcripts, and administered a battery of assessment tests. Dr. Peterson obtained a doctorate in philosophy and clinical psychology in 1993. She has been in private practice since 2002, and has conducted many assessments for families as well as IEE’s for school districts. Dr. Peterson concluded that, medically, Student has a major depressive disorder, accompanied by executive disfunctioning and attention deficit hyperactivity disorder (ADHD), involving impulsiveness and hyperactivity. She also opined that Student met the criteria for special education eligibility under the categories of Emotional Disturbance and/or Other Health Impairment. 60. However, Dr. Peterson’s evaluation and diagnoses did not exist and were not communicated to the District at any time prior to the disciplinary incident of November 4, 2011. Student argues that Dr. Peterson’s opinions regarding Student’s historical symptoms are not only relevant to non-expedited Student’s FAPE case regarding District’s child find obligations, but are also relevant to evaluate District’s knowledge in this expedited case prior to November 4, 2011. Thus, Student argues that, in light of Mother’s expressed concerns, District should have referred Student for a special education assessment in May or October 2011. However, as set forth in Legal Conclusions 21 through 34, the specific requirements for federal discipline procedures, including a school district’s basis of knowledge criteria, control in this expedited case. Therefore, much of Dr. Peterson’s testimony was accorded little weight on the issue of what District knew prior to the disciplinary incident at issue here. 1. Student, as the party requesting relief, has the burden of proof in this proceeding. (Schaffer v. Weast (2005) 546 U.S. 49 [126 S.Ct. 528].) The issues in a due process hearing are limited to those identified in the written due process complaint. (20 U.S.C. § 1415(f)(3)(B); Ed. Code, § 56502, subd. (i).) In this case, the issues were bifurcated as noted above, and this Decision is limited to the expedited disciplinary issues only. 3. Only children with certain disabilities are eligible for special education. (20 U.S.C. § 1401(3)(A); Ed. Code, § 56026, subd. (a).) For purposes of special education eligibility, the term “child with a disability” means a child with mental retardation, hearing impairments (including deafness), speech or language impairments, visual impairments (including blindness), serious emotional disturbance, orthopedic impairments, autism, traumatic brain injury, other health impairments, a specific learning disability, deafblindness, or multiple disabilities, and who, by reason thereof, require instruction, services, or both, which cannot be provided with modification of the regular school program. (20 U.S.C. § 1402(3)(A)(ii); 34 C.F.R. § 300.8(a)(2006)9.) Thus, there are many children who have varying ranges of weaknesses, deficits, areas in need of improvement, and disability who do not qualify for special education because they do not meet the narrow categories specified by law for this federally funded program, including the requirement that the instruction or services cannot be provided with modification of the regular school program. 10 Other Education Code sections define additional acts that may be grounds for discipline. 8. Section 48900, subdivision (k)(1) provides as grounds for expulsion a “refusal and/or repeated failure to follow school rules and regulations and/or severe disruption of school activities.” Section 48900.2 provides that severe or pervasive sexual harassment is also a ground for expulsion. 9. Within 10 school days of any decision to change the educational placement of a pupil with a disability because of a violation of law or code of conduct, the local educational agency (LEA), the parent, and relevant members of the pupil’s IEP team shall review all relevant information in the pupil’s file, “including the child’s IEP, any teacher observations, and any relevant information provided by the parents.” (20 U.S.C. § 1415(k)(1)(E)(i); 34 C.F.R. § 300.530(e)(1) and (h).) If the review team determines that either of the following is applicable, the pupil’s conduct “shall be determined to be a manifestation of the child’s disability”: (a) if the conduct in question was caused by, or had a direct and substantial relationship to, the pupil’s disability; or (b if the conduct in question was the direct result of the LEA’s failure to implement the IEP. 11. California law is in accord with federal law. California law refers to a “child with a disability” as an “individual with exceptional needs” who is identified as disabled by an IEP team and requires special education and services. Under California Education Code section 48915.5, an individual with exceptional needs may be suspended or expelled from school in accordance with subsection (k) of Section 1415 of title 20 of the United States Code, including the discipline provisions in federal regulations and other provisions of California law that do not conflict with the federal law and regulations. 11 The LEA may also request a hearing in specified circumstances. 16. Congress intended to obtain timely and appropriate education for children with special needs and did not intend to encourage the filing of claims under the IDEA many years after the alleged wrongdoing occurred. (Student v. Vacaville Unified Sch. District (2004) S.E.H.O case SN 04-1026, 43 IDELR 210, 105 LRP 2671, quoting Alexopulous v. San Francisco Unified Sch. District (9th Cir. 1987) 817 F.2d 551, 555.) Due process complaints filed after October 9, 2006, are subject to a two-year statute of limitations. (20 U.S.C. §§ 1415(b)(6)(B), 1415(f)(3)(C); 34 C.F.R. § 300.507(a)(2); 34 C.F.R. § 300.511(e); Ed. Code, § 56505, subds. (l) & (n).) In general, the law provides that any request for a due process hearing shall be filed within two years from the date the party initiating the request knew or had reason to know of the facts underlying the basis for the request. ((Ed. Code, § 56505, subd. (l); see also, Draper v. Atlanta Ind. Sch. System (11th Cir. 2008) 518 F.3d 1275, 1288, 20 U.S.C. §1415(f)(3)(c).) In effect, this is usually calculated as two years prior to the date of filing the request for due process. Issue 1(a): Following the disciplinary incident at school on November 4, 2011, did District’s decision to change Student’s educational placement, without conducting a manifestation determination review meeting and by proceeding to an expulsion hearing, violate Student’s discipline procedure rights under the IDEA because Student was already identified as eligible for special education and related services in the District? 19. As set forth in Factual Findings 1 through 36, and Legal Conclusions 16 through 18, the two-year statute of limitations is applicable to this issue, unless an exception applies. Student’s contention that he did not know or have reason to know that he had been exited from special education in November 2006, must be construed to mean that he did not learn of the underlying facts until on or after March 20, 2010, because his complaint was filed on March 20 2012. Student did not sustain his burden of proof on this issue.12 Ms. Baziuk’s credible testimony was consistent with District’s bare record, reported to CDE, that Student had been exited, and Mother’s lack of credibility defeated her argument. The evidence established that Mother attended Student’s triennial IEP team meeting on November 17, 2006, and she knew or had reason to know, after November 17, 2006, that District had exited Student from special education, including but not limited to the following: (1) District did not invite or notify Parents to attend, or conduct any further IEP team meetings for Student from December 2006 through the present, a period of almost five and a half years; (2) there is no evidence that Mother requested an IEE because she disagreed with District’s speech and language assessment, upon which the decision to exit was based; (3) District did not file a complaint to seek an order overriding Parent’s lack of consent to exit Student, or to establish that its assessment was appropriate; (4) Mother knew or had reason to understand, by the time of Student’s annual IEP in February 2007, or February 2008, that no IEP meeting was scheduled or held, and made no inquiry; (5) Mother did not present any evidence that she made any inquiry to the District about Student’s continued speech and language services, or progress on speech and language goals, or annual reports of progress or proposed modifications of those goals for over five years; (6) Mother testified that Ms. Muzzy informed her in November 2006, that she was transferring to another school, and that Suisun Valley would no longer have speech services; consequently, by Mother’s own testimony she understood Student’s services would cease, although either her recollection or the information were not true; (7) Mother did not establish that she received any representations from the District, verbally or in writing, that she relied on, or was entitled to rely on in holding any good faith belief that her son was still in special education, such as report cards, progress reports, IEP offers, annual special education goal progress reports, or parent-teacher conferences; and (8) it is reasonably inferred from Mother’s complete lack of action for over five years that she understood her son no longer received special education services. 12 Student’s closing argument does not address the statute of limitations and his contentions are taken from the context of his issues and matters discussed at hearing. 20. As set forth in Factual Finding 38, and Legal Conclusions 16 through 18, Student presented evidence at hearing that the statute of limitations should be waived because the District failed to provide Mother with written notice of her procedural rights or a copy of the November 2006 IEP, and that those documents constituted material information it was obligated to provide to her. First, all of Student’s IEP’s beginning in November 2003, were accompanied by acknowledgement of receipt of written notice of Parents’ procedural rights and Parents were provided copies of the IEP’s. In addition, Mother’s denial of recalling that she attended any IEP meeting in November 2006 negatively impacted her credibility. As found above, Mother knew, at least by February 2007 or February 2008, that there were no more IEP meetings or special education services and was not prevented from timely filing a complaint. After the passage of more than five years, Student may not controvert the statute of limitations where Parent’s inaction over those many years demonstrated that she knew Student had been exited from special education. If District made mistakes in doing so, they were not flagrant or intentional and the statute of limitations has run. General. A child who has not been determined to be eligible for special education and related services under this part and who has engaged in behavior that violated a code of student conduct, may assert any of the protections provided for in this part if the public agency had knowledge (as determined in accordance with paragraph (b) of this section) that the child was a child with a disability before the behavior that precipitated the disciplinary action occurred. 13 Subdivision (c) of Part 300. 534, above, contains exceptions that are not applicable in this case. Issue 1(b): Did District’s November 2011 decision to change Student’s educational placement, without conducting a manifestation determination review meeting and by proceeding to an expulsion hearing, violate Student’s discipline procedure rights because District knew or had a basis of knowledge that Student was a child with a disability before the behavior that precipitated the November 2011 disciplinary action occurred? 26. As set forth above, a parent’s expression of concern that his or her child needs special education services must be in writing, and must be made to either a teacher of the child, or to “supervisory or administrative personnel” of the school district. As set forth in Factual Findings 39 through 52, and Legal Conclusions 21 through 25, Mother did not make any such request at the May 2011 SST meeting. The meeting did not include discussion of the possibility of special education services. In addition, there is no evidence that Mother expressed in writing to any person at or after the meeting that Student was “in need of special education and related services.” Student did not sustain his burden to establish that Mother’s May 12, 2011 email asking for Student to see the school psychologist “when she is available” was a request for special education services. The evidence established that it was not uncommon for school psychologists to work with general education pupils for crisis-related or other short-term counseling. The SST agreed to have the school psychologist check in with Student as part of the behavior plan. Mother did not object to District’s decision to use general education interventions. Whether or not District may have had some child find obligations in the spring of 2011, Student did not establish that Mother requested special education services for him in writing. 27. A parent’s request for a special education assessment or evaluation under the IDEA must result in finding the school district had a basis of knowledge of a disability and the law does not require the request to be in writing. There is no evidence that Mother requested a psychological or mental health evaluation of Student to anyone at the SST meeting. So too, Mother’s May 12, 2011 email communication to Ms. LaRocco and the team, requesting that the school psychologist see Student, did not constitute a request for a psychological evaluation. Mother’s request did not meet the specificity required under the federal discipline procedures to impute knowledge of a suspected disability to the District. 28. At the October 31, 2011 meeting, Mother requested psychological support for Student with a “consistent, frequent schedule” of therapy with the school psychologist. Whether or not that request reasonably called for District to discuss the range of FAPE options available is not relevant to the limited inquiry whether the request imparted a basis of knowledge of a suspected disability to the District, as a request for services or assessment. Mr. Green-Ownby was persuasive that District school psychologists generally provide individual crisis-oriented psychological counseling to general education pupils. In addition, special education pupils with counseling services as a related service in their IEP’s receive scheduled psychological counseling at set frequencies and durations. The evidence established that Father’s refusal to agree to any sort of psychological support from the District terminated the discussion. Accordingly, Mother’s request for psychological support was not an express written request for special education services, nor was it a verbal request for a psychological evaluation as a precedent to such services. 29. The evidence established that Mother first asked the District in writing to assess Student for special education in her email dated November 10, 2011, to Ms. Avlonitis, an administrative staff member of the District. Ms. Avlonitis credibly testified that she considered Mother’s request as such, even though she directed Mother to send another written request to the school principal or the school psychologist. 31. As set forth in Factual Findings 39 through 52, and Legal Conclusions 21 through 30, the evidence showed that Ms. Avlonitis talked to District’s Director of Special Education, Mr. Green-Ownby, about Student’s recent behaviors on Friday October 28, and Monday, October 31, 2011, including Mother’s expressed concerns about Student’s psychotic thinking and guns. However, neither of them discussed an educationally related disability because Student performed well academically. No other staff spoke with him about specific concerns until he began an investigation into Mother’s request for an assessment and began reviewing Student’s records. Since Mr. Green-Ownby’s other discussions with staff occurred after November 4, 2011, no basis of knowledge was established on that ground. 32. The criterion mandating a district’s knowledge of a suspected disability based on staff’s expression of specific concerns of a pattern of behavior does not require that the discussion has to be about a suspected disability, or about requesting an assessment. First, as set forth in Factual Findings 44 through 47, on April 26, 2011, prior to the SST meeting, District administration cited Student with an “A-BUT” Notification for repeatedly bulling a pupil at school. Ms. Decena, who was present at the May 2011 SST meeting, was an administrative staff resource specialist responsible to manage the SST process and Ms. Henry was the school psychologist responsible for psychological services for both general and special education pupils. Both Ms. LaRocco and Mr. Baziuk, experienced teachers, communicated their concerns about Student’s negative patterns of behavior at the SST meeting, including his alarming lack of empathy, bullying and treating peers badly, lack of affect, playing with fire, and acting in defiance of school authorities. Since 2007, Mother had informed the District that Student had been seeing a psychologist, and shortly after the SST meeting she informed the District that Student had recently been diagnosed with a psychiatric disorder. Her belief that the disorder was environmentally caused did not diminish the fact that the District was placed on notice of a psychiatric disorder, and that despite Student’s good grades, his social and emotional behaviors with peers and teachers at school were troubling. District attempted a general education intervention using a behavior plan or contract but it did not work. 33. By the time of the conference meeting on October 31, 2011, the evidence established that the District had knowledge of a suspected disability, following Student’s threat or solicitation to kill Ms. Hosier. Both Mrs. Wright and Ms. Avlonitis were supervisory and administrative personnel of the District because Mrs. Wright was the school principal at Suisun Valley, and Ms. Avlonitis was an administrator in student accountability services. The law does not require the school personnel to be employed in the special education division of the school (aside from the Director of Special Education). They were both present at the parent-teacher conference meeting on October 31, 2011, just four days after Student threatened to kill a teacher, and four days before Student threatened to torture and kill a female pupil. Mother discussed specific concerns about his recent patterns of behavior, including Student’s behaviors that were of concern in the May 2011 SST meeting. By the time of this meeting, District knew that Student was seeing a private psychologist, had been diagnosed with a psychiatric disorder, had disturbing patterns of behavior with peers and teachers at school, and had just solicited others to kill a teacher. These matters raised serious concerns for Student’s mental and emotional health sufficient to charge the District with knowledge that Student had a suspected disability at that time. In addition, Mother requested psychological support at that meeting and Father’s lack of consent is not relevant on the issue of District’s basis of knowledge. 34. Based on the foregoing, Student established that District had a basis of knowledge of a suspected disability as of October 31, 2011. Student has therefore established that the District should have conducted a manifestation determination review by December 10, 2011. District violated Student’s federal procedural rights pertaining to the special education discipline process by going forward with discipline proceedings without conducting a manifestation determination review. (d) Conditions that apply if no basis of knowledge. (2)(i) If a request is made for an evaluation of a child during the time period in which the child is subjected to disciplinary measures under § 300.530, the evaluation must be conducted in an expedited manner. (ii) Until the evaluation is completed, the child remains in the educational placement determined by school authorities, which can include suspension or expulsion without educational services. (iii) If the child is determined to be a child with a disability, taking into consideration information from the evaluation conducted by the agency and information provided by the parents, the agency must provide special education and related services in accordance with this part, including the requirements of §§ 300.530 through 300.536 and section 612(a)(1)(A) of the Act. Issue 2: Following the disciplinary incident on November 4, 2011, did District violate Student’s discipline procedure rights under the IDEA by failing to assess Student for special education upon request(s) of Parent during the time period in which Student was subjected to disciplinary measures? 36. Student was permitted to present evidence on this issue as an expedited discipline issue based on his legal theory either that an expedited assessment of Student following the disciplinary incident would give rise to a duty to hold a manifestation determination review meeting, or give rise to a basis of knowledge that Student was a child with a disability for purposes of stopping the expulsion process. However, Student’s closing argument did not present any legal authority or argument for this position. 37. As set forth in Factual Findings 53 through 57, and Legal Conclusion 35, on November 10, 2011, Mother emailed Ms. Avlonitis and expressly asked the District to assess and evaluate Student to manage his behavior issues and find an appropriate educational setting. Later the same day, Ms. Avlonitis directed Mother: to put her request for a special education assessment “in writing” to the school principal and school psychologist, Mrs. Henry, although the email itself constituted a writing. By November 14, Mrs. Henry responded to acknowledge receipt of the request for assessment. Accordingly, Mother requested a special education assessment in writing on November 10, 2011, after the disciplinary process had begun. 38. However, the plain language of the applicable law required the District to receive Mother’s request for a special education assessment prior to the disciplinary incident of November 4, 2011, for District to be held accountable for a basis of knowledge of a suspected disability based on the request. In S.W. v. Holbrook, supra (2002 DC Mass), at p. 227, the court rejected the school’s argument that a special education evaluation that was conducted after the date of the child’s behavior, finding the child did not have a learning disability, could be used to establish lack of knowledge or avoid stay put on appeal. 15 Nothing in this Expedited Decision prevents Student from raising at the nonexpediting hearing that the District denied Student a FAPE when it determined not to assess him after Mother’s November 10, 2011 request, and that he is eligible to receive special education services, as alleged in his complaint. 1. District had a basis of knowledge that Student had a suspected disability prior to the disciplinary incident on November 4, 2011. 3. Within 10 school days of the date of this order, District shall convene a manifestation determination review team meeting if it decides to suspend Student for more than 10 school days, or expel Student based on the disciplinary incident on November 4, 2011. 4. If the District fails to hold a manifestation determination review team meeting as ordered above, the District shall expunge Student’s educational records by purging all references to his expulsion. 16 Student’s closing argument requests an interim placement under 34 C.F.R. 300.532(b)(2)(ii) at a residential treatment center called Plumfield Academy. However, Student has not yet been found eligible for special education and presented no evidence regarding residential treatment centers. The request is therefore denied.